Positively the last word on two-person mentalism, allowing names, dates, personal effects, zodiac signs and much more to be quickly and effectively transmitted without the use of electronics or gimmicks. Your audience will be spellbound as they witness your sensational and uncanny demonstrations of Mental Telepathy. Audience questions, personal articles, birth dates, zodiac signs and more are revealed by the on stage psychic. If you remember the mesmerizing nightclub performance by the suave mentalist in the motion picture "Nightmare Alley," then you've seen a sample of what a successful two-person code act can accomplish. You can play it straight (as in the movie), or in a more light-hearted manner, such as performed by Tommy and Liz Tucker or Falkenstein and Willard. With Nelson's course book, laid out in convenient lesson format, any two people, with a little persistence and patience, can learn it. Then, you too, can present this fascinating act, astound and baffle audiences, and operate in one of the highest paid branches of showmanship. But you must be good! 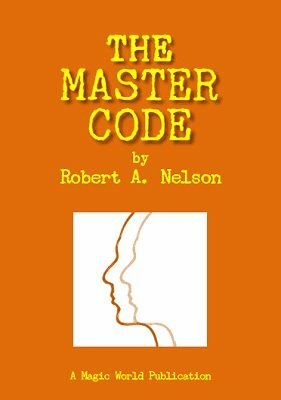 The Master Code is complete in that it covers all phases of code work. Any thought may be conveyed from the performer to the blindfolded medium, whether it be first or last names, birth dates, articles, numbers, materials, colors, musical selections or questions. Each may be described in detail. The questions are not general, but may be made specific in each instance. Its completeness makes possible the secret coding of any word in the dictionary. Numbers on bills, dates, initials, time of day, etc. In fact, practically any information you wish to convey can be secretly coded to the medium. The coding is swift, subtle and accurate. Nelson also provides subtleties so that the codes are verbally sent on the "off beat" to speed up the work, making the act seem even more impossible and impressive. Fortunes have been made by teams working similar and less efficient code acts. Perhaps the most profitable field is the selling of horoscopes and pitch books, with incomes exceeding the team's performance fee. Nelson explains how the code act serves as a "bally" to make customers rush to your sales table after the show. The Master Code may be presented anywhere — the field is tremendous — theatres, clubs, hotels, fairs, resorts, casinos, cruises - in fact, anywhere people gather. There is no apparatus and no writing. You have nothing to carry, no further investments, so you are ready to work any time, anywhere. We sincerely believe that this is the most comprehensive and most efficient code ever published. It is strictly for the professional worker, who is seeking the best. It requires average intelligence on the part of the workers, of which there must be two, and considerable study and practice for perfection. The course has been updated to bring it into the New Millennium with improved shortcuts and cues. New data on the most popular names has been included, as well as sources and footnotes allowing the purchaser to derive the most value from his or her investment. Are you a Nelson collector? This book was listed as No. 700 in the Nelson Enterprises catalog . And at a price far less than the original price, which was the equivalent of $175 in today's money. 1st edition 1959, PDF 159 pages.